19th International Microscopy Congress (IMC 19) | Event / Exhibition | JEOL Ltd.
A uniquely flexible platform that combines the ultimate in high resolution imaging with unparalleled nano scale microanalysis. This tool excels in fast data acquisition through simple and automated operation. A versatile research grade SEM, which is Smart, Flexible and Powerful. Tuesday, September 11, 2018 12:45 p.m.～ 13:45 p.m.
Introduction of State of the art cryo microscope "CRYO ARM™"
Dr. Sohei Motoki - JEOL Ltd.
JEOL CRYO ARM™ has been developed to accelerate studies of the structure of biological molecules with cryo-electron microscopy. Dr. Motoki will present new technology from JEOL enabling acquisition of high resolution and high contrast images and the application of these techniques. JEOL CRYO ARM™ is equipped with a cold FE gun, an in-column Omega energy filter and an automated specimen loading and exchange system which allows for the exchange of one or more samples without interrupting the cryogenic condition, thus enabling flexible scheduling. Dr. Shunsuke Asahina - JEOL Ltd.
JEOL Scanning Electron Microscopes (SEMs) have a number of unique features, including low voltage imaging, energy filtering and chemical analysis. In this talk, Dr. Asahina will focus on special techniques, such as extreme low kV imaging and low kV analysis using JEOL JSM-7900F FE SEM. 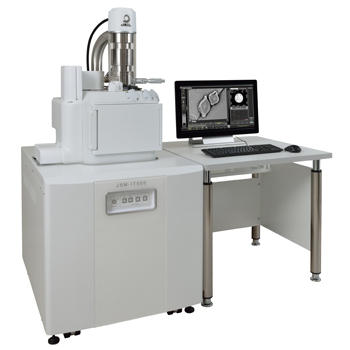 Introduction to state of the art Cryo microscope "CRYO ARM™"
Dr. Shohei Motoki (TEM Development Researcher) - JEOL Ltd.
JEOL CRYO ARM™ has been developed to accelerate studies of the structure of biological molecules with cryo-electron microscopy. Dr. Motoki will present new technology from JEOL enabling acquisition of high resolution and high contrast images and the application of these techniques. JEOL CRYO ARM™ is equipped with a cold FE gun, an in-column Omega energy filter and an automated specimen loading and exchange system which allows for the exchange of one or more samples without interrupting the cryogenic condition, thus enabling flexible scheduling. The talk will present a newly developed integrated system allowing parallel data collection from EDS, WDS and the new Soft X-ray Energy Spectrometer (SXES) detectors. Data acquisition, including SXES, is controlled through the JEOL EPMA or FE SEM user interface. The new integrated system enables synchronised collection of very low-energy rays with chemical state information together with the elemental information from the WD and ED spectrometry optimised for fact collection and high resolution large area mapping. This talk will show the new level of integration, SXES database, spectral line ID and give examples of mapping. The Feature of JEOL’s new flagship SEM JSM-7900F with "Neo Engine"
Mr. Tan Teck Siong (SEM Product Manager) - JEOL ASIA PTE.LTD. 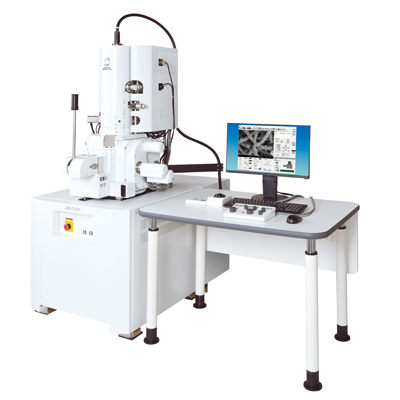 The newly developed JSM-7900F is the JEOL’s flagship FE-SEM. It combines extreme high resolution imaging, enhanced stability and exceptional ease of use for any level of operator in multi-purpose laboratory environment. The talk will explain the concept of "Neo Engine" (New Electron Optical Engine), a standard feature that allows for fast and easy image acquisition at any illumination condition.